We Christians have a joy problem…a disconnect between what we profess and believe to be ours in Christ and what is exhibited in our attitude and countenance. The sullen, angry, joyless Christian seems to be the stereotype, and unfortunately for a lot of us, it’s not far from accurate. I’m sure there are some who are almost obnoxious in their exuberance and certainly many who truly know the joy of the Lord and are like a magnet for him as their lives display genuine and unshakeable peace and joy. But too often, I think, the watching world hears us talk about joy and sing about joy, but our lives do not reflect joy and instead are unattractively beset with anxiety, disappointment, and discouragement. Great joy! Now, we can imagine receiving good news of great joy from family members – It’s a boy!…We’re engaged!…I got a job! From professional-types – You’re cured…You’re hired…You’re not guilty. Or from those whose job it is to convey news – THE WAR IS OVER…GAS PRICES DIP TO BELOW $2…BROWNS WIN THE SUPER BOWL! (It could happen.) But suppose the President of the United States dispatched his right-hand man to personally give you good news that would rock your world. Kind of adds a little more weight to it, doesn’t it? This good news of great joy for all people was announced by an angelic messenger sent by God from heaven. An angel…appearing suddenly, emanating the blinding brightness of the “glory of the Lord”…delivered news of unmatched importance and beneficence. And the news was so great and of such eternal significance that it deserved a monumental, miraculous response from a celestial army. And what was this news? A savior. A Savior! This is great news! We’re saved! We were doomed to everlasting destruction with no hope of redeeming ourselves and no redeemer within our own ranks to release us from the chains of our own fashioning. But now a perfectly righteous, divine Redeemer has come! Our plight was of eternal significance with absolutely no temporal solution. We were destined for an everlasting existence apart from God, forever bereft of anything even approaching an experience of joy. But now we have the Way to heaven…the Truth that saves…and the Life that secures for us a blessed and divine union with God and a blissful existence with him eternally! We do have reason to shout for joy, if we are among the ones made righteous through faith in Jesus Christ.1 And when we’re not shouting…’cause, you know, we don’t want to be stereotyped as weird, manic, overly-excited Christians neither…we can be serenely joyful each day and in any circumstance if we remind ourselves of all that we have in Christ. Not only salvation, though that is HUGE, but also peace, fellowship, wisdom, freedom and more, some of which I have written on in this series. 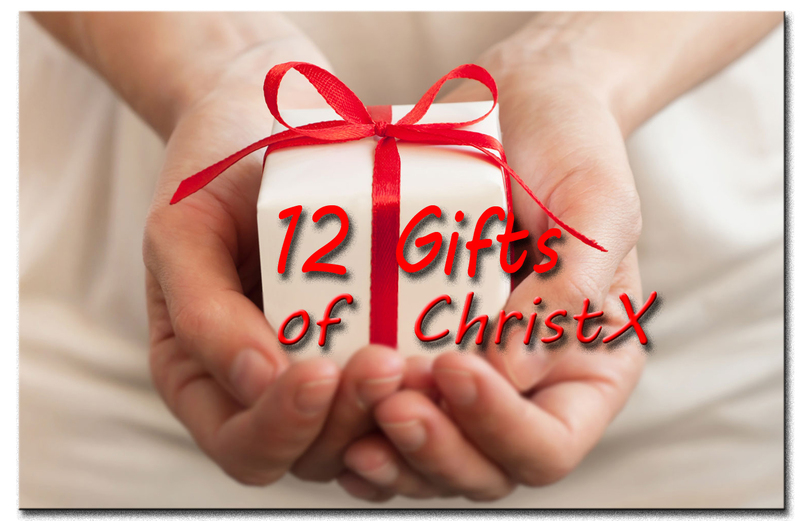 My last installment in this 12 Gifts of Christ will be that salvation. I pray it will be compelling and will result in praise and thanksgiving to our great Savior. And JOY unceasing for those of us who have received this marvelous gift. Thank you for your words of encouragement. I can simply meditate on these words this Christmas season and feel like I’ve received a reminder of the most wonderful gift of all… Our Lord and Savior Jesus Christ! And your words are an encouragement to me, Joe. Thank you, and Merry Christmas to you and yours as we celebrate this wonderful Gift. 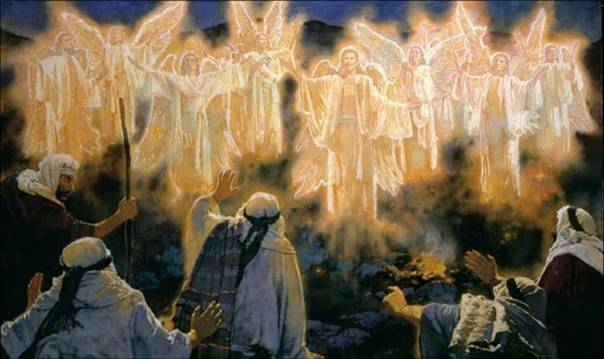 I love contemplating the angels’ action of bursting out of heaven to praise God after waiting and waiting for over a thousand years to proclaim the Savior is finally born. Have you ever had to keep a secret for a long time? And good news at that?